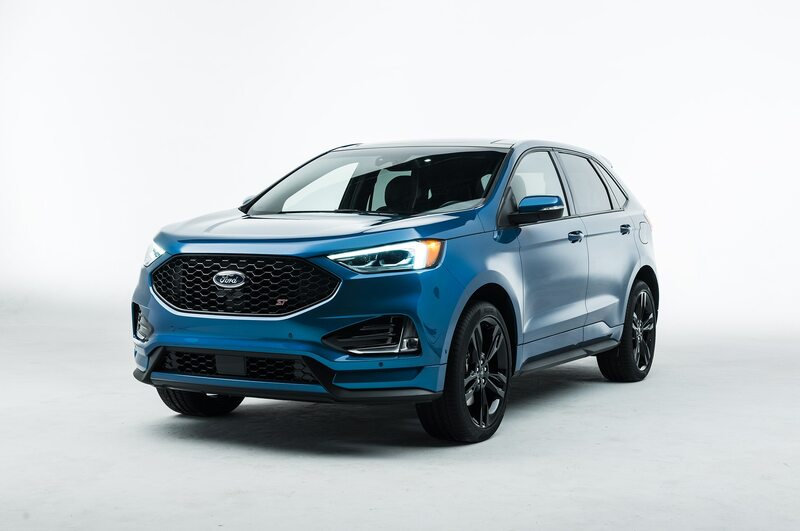 Ford is adding a new all-wheel-drive disconnect system to its refreshed-for-2019 Edge midsize two-row sport/utility vehicle, including the new 2.7-liter EcoBoost-powered ST model just added to the lineup. 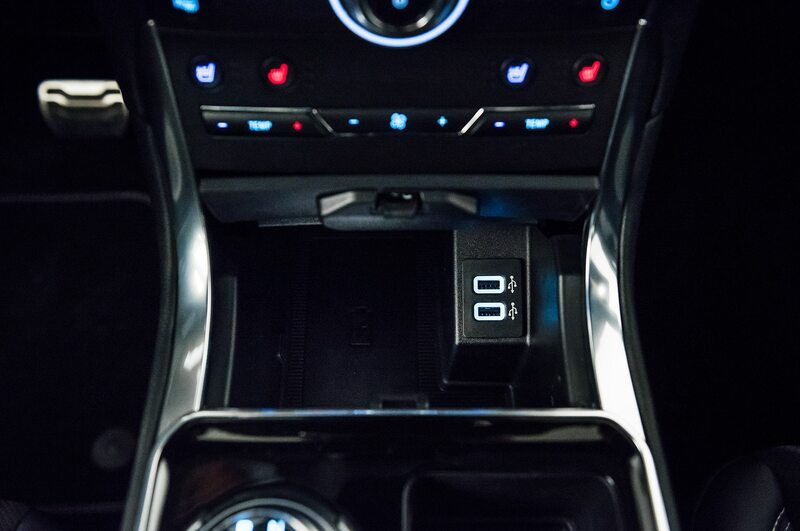 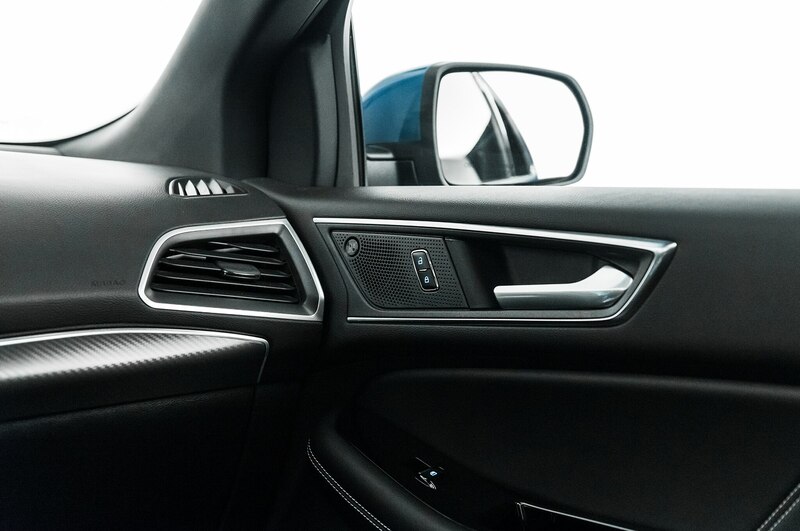 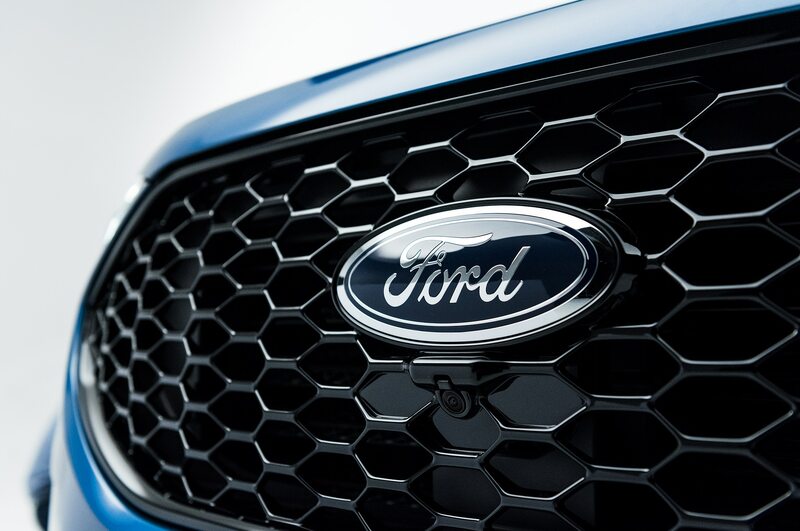 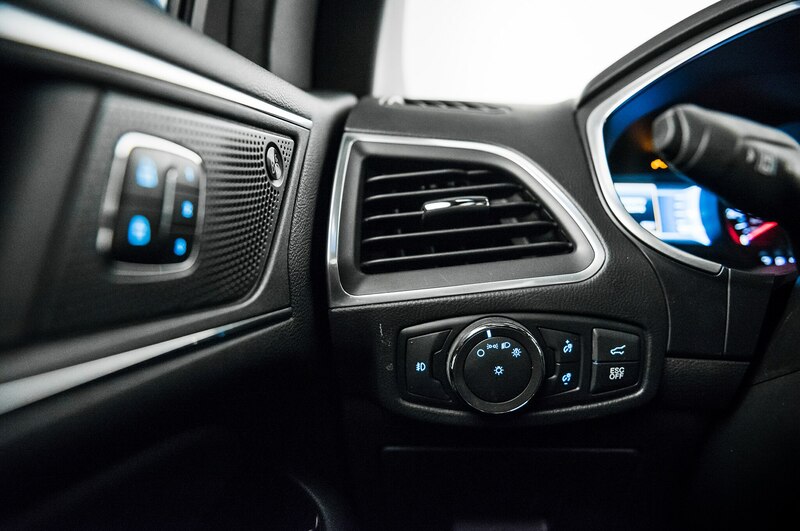 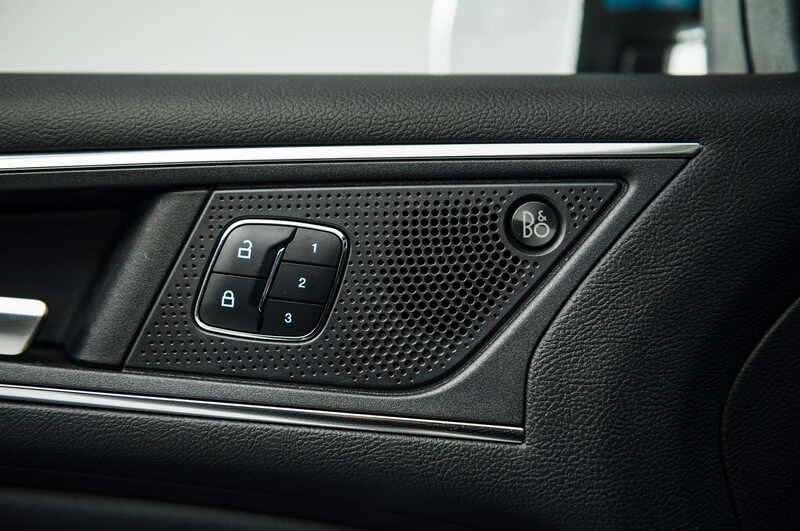 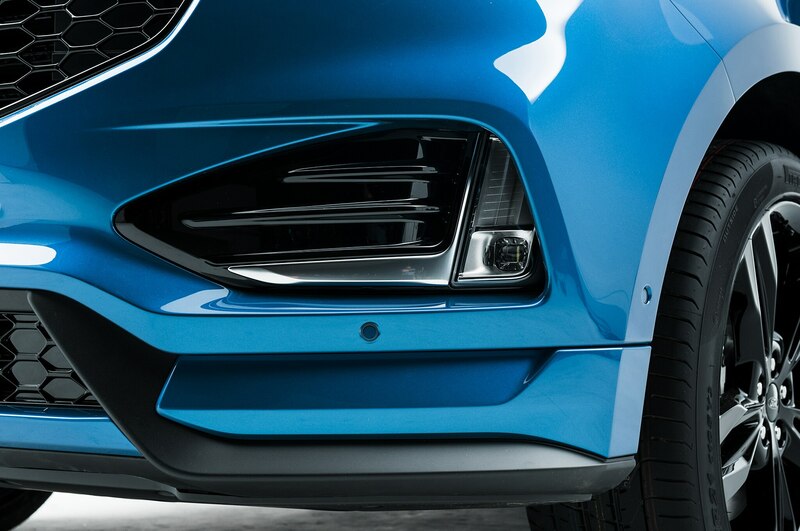 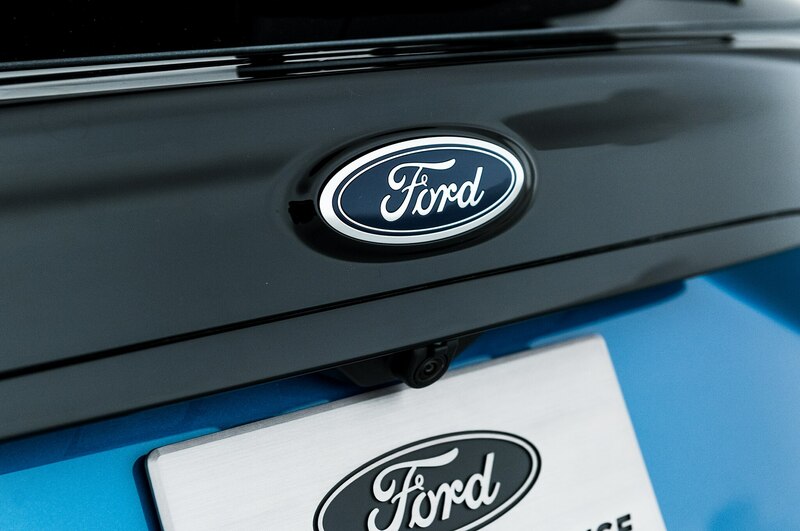 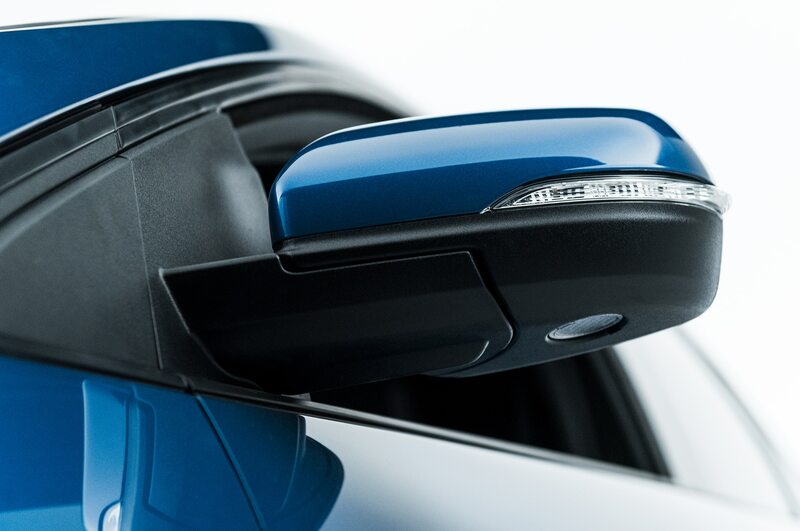 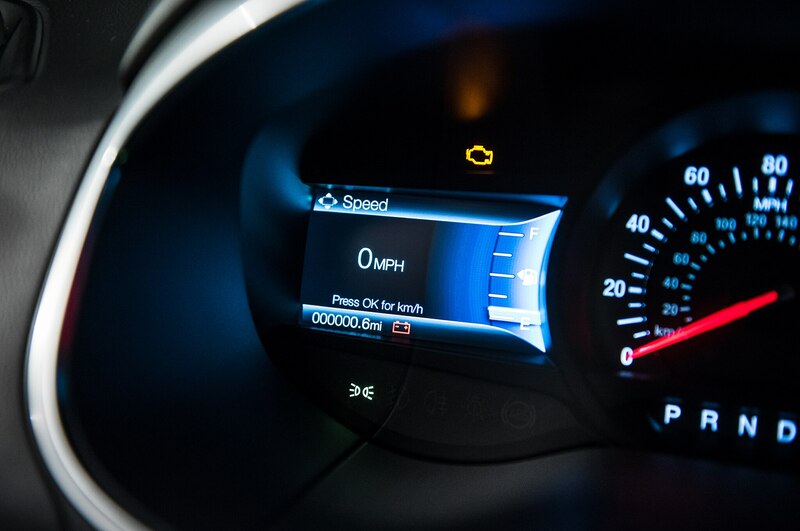 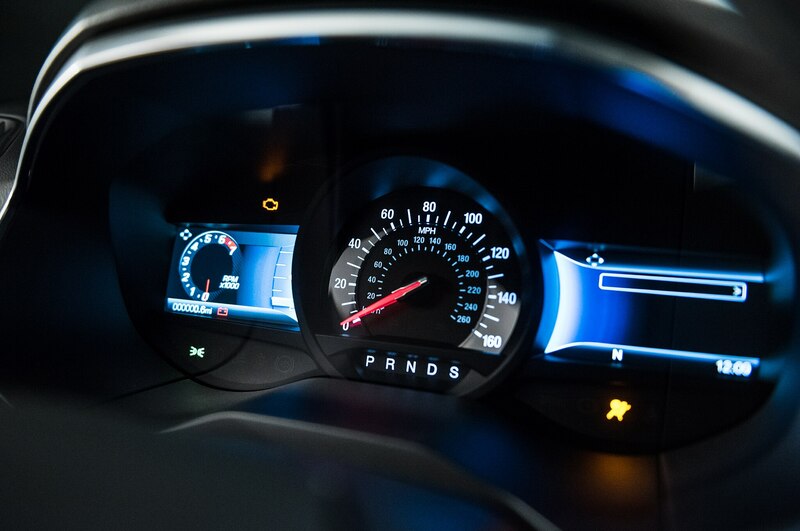 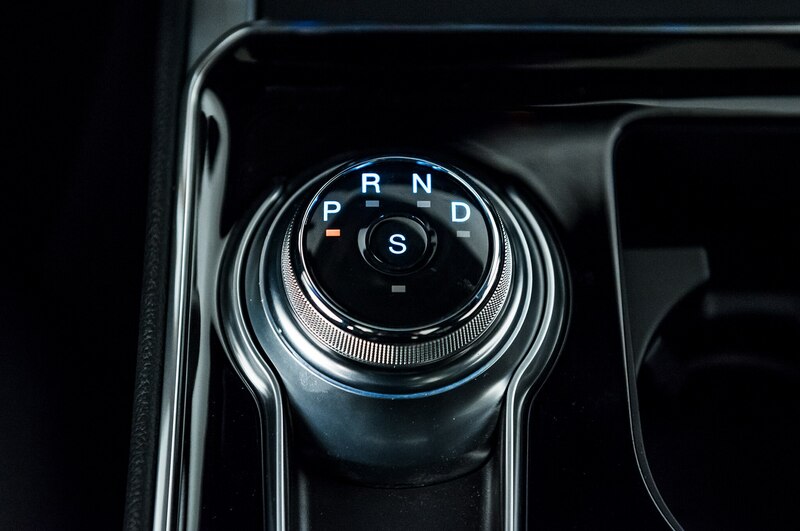 The disconnect system switches automatically between front- and all-wheel-drive using sensors to determine wheel slip, road conditions, speed, windshield wiper usage, and outside temperature, Ford says, to reduce fuel consumption. 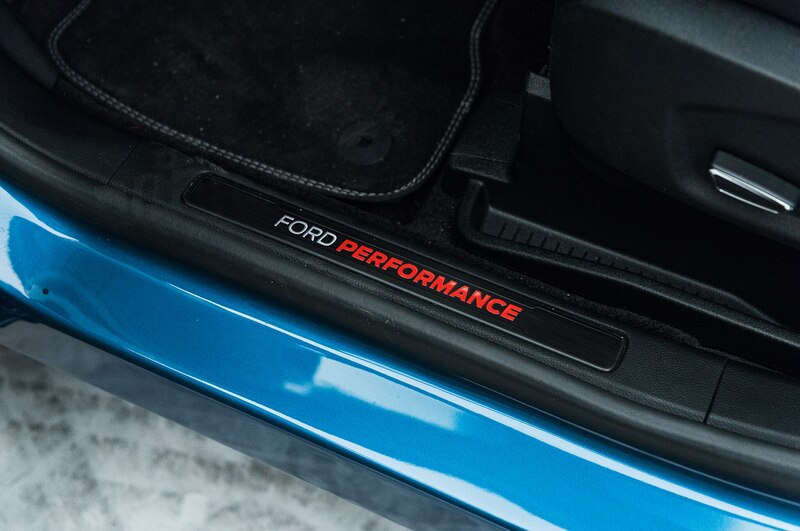 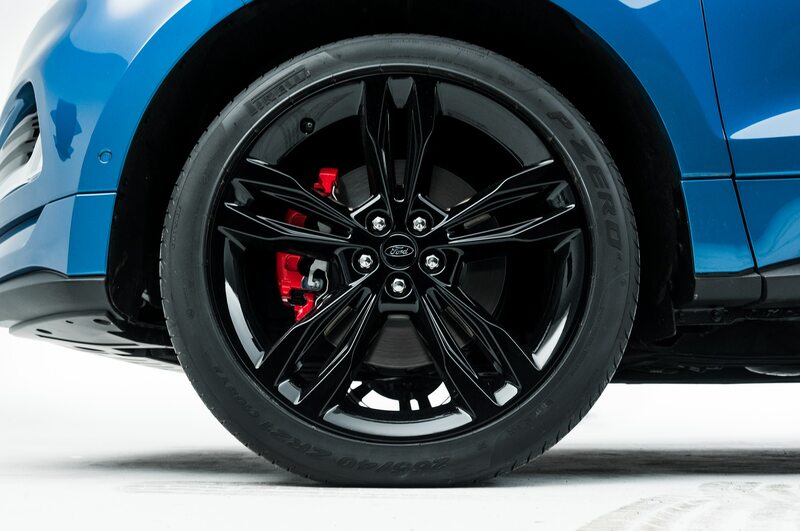 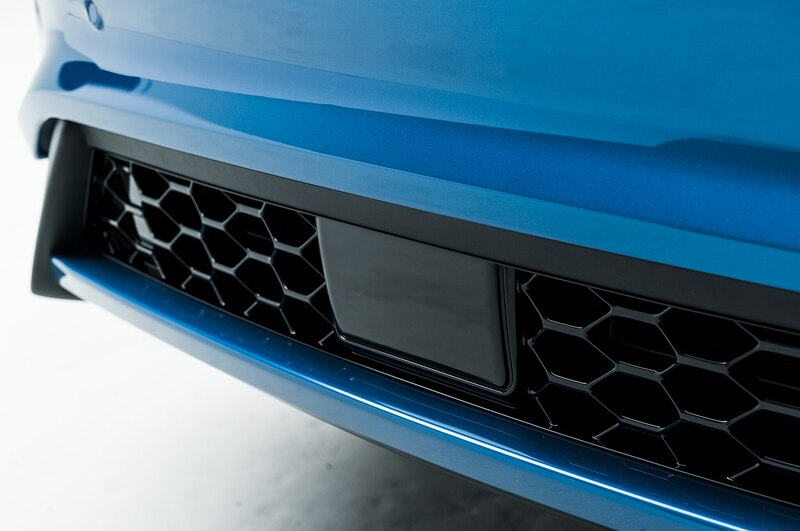 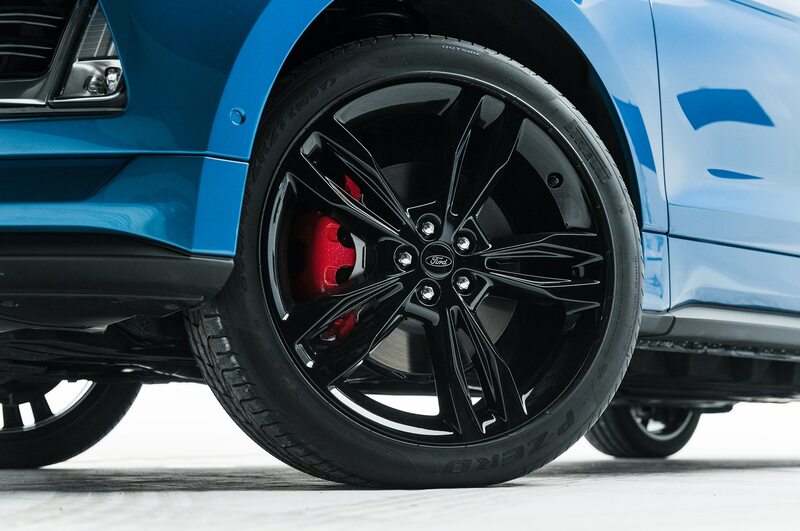 It’s the first AWD disconnect system on a Ford product, though such competitors as Fiat Chrysler have offered such technology on FWD-based AWD vehicles for a few years. 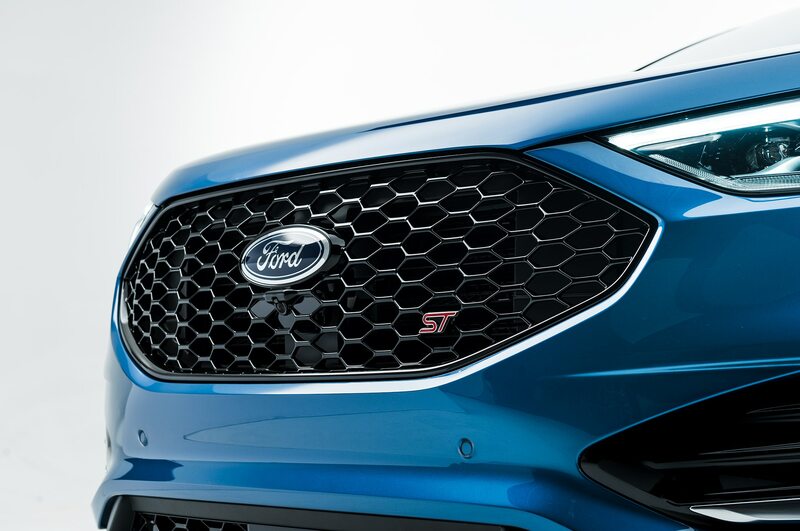 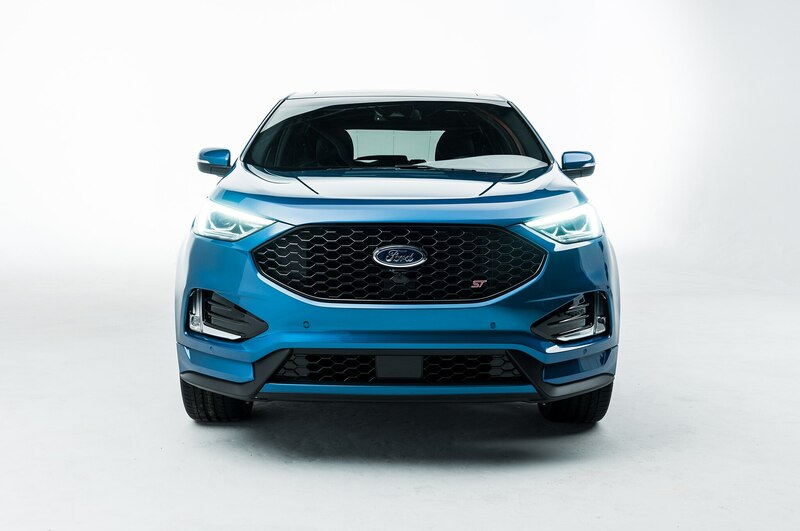 The new Ford Edge ST, equipped with standard AWD with disconnect, a revised 2.7-liter EcoBoost V-6 and eight-speed automatic, is rated 19/26 mpg, up 2 mpg both city and highway from the ’18 Edge Sport that it replaces. 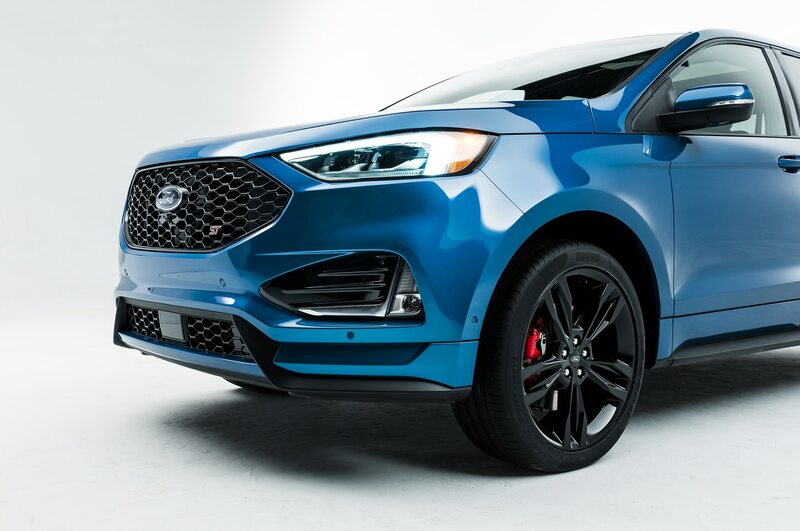 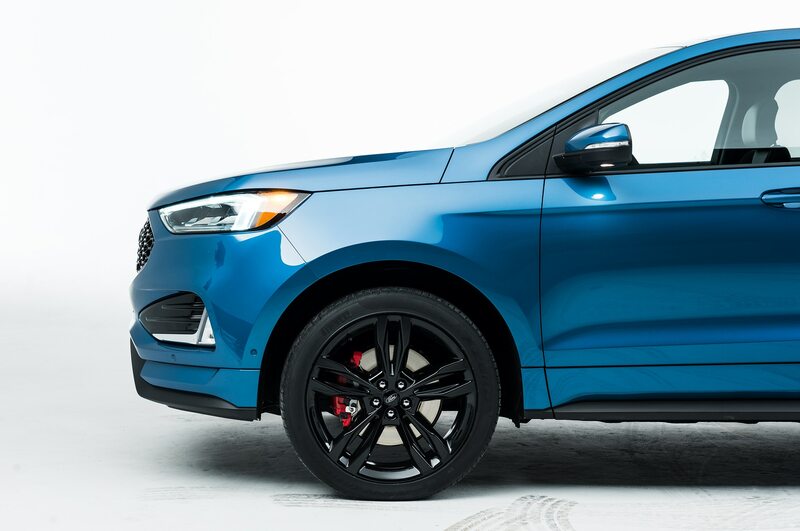 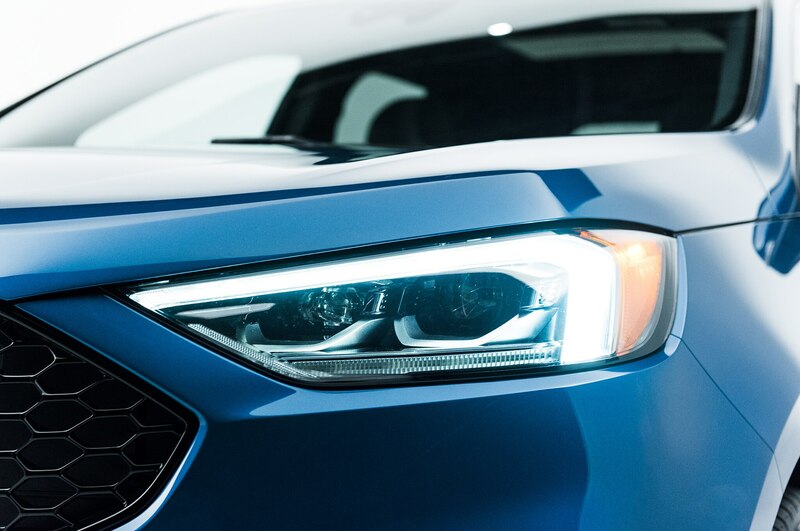 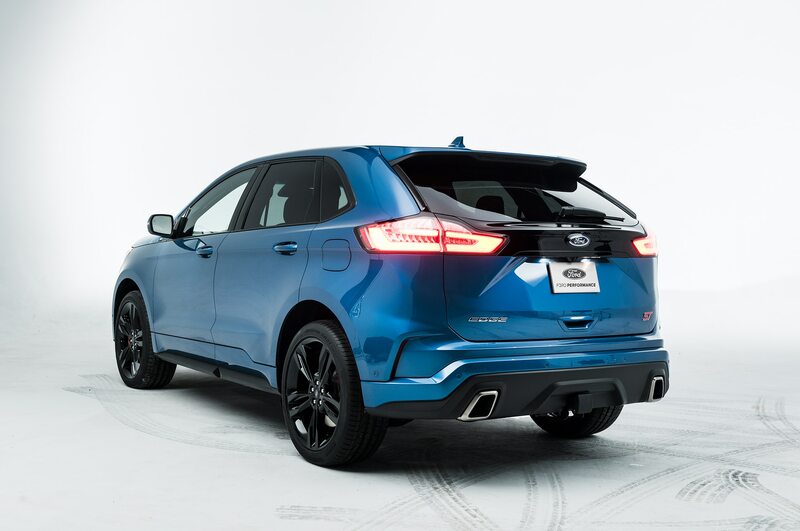 AWD-equipped ’19 Edges are rated 21/28 mpg, and FWD ’19 Edges are rated 22/29 mpg, Ford says. 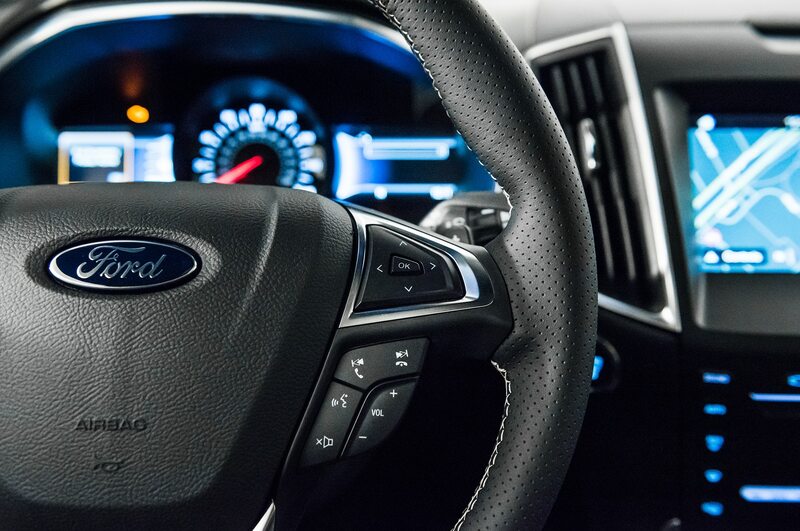 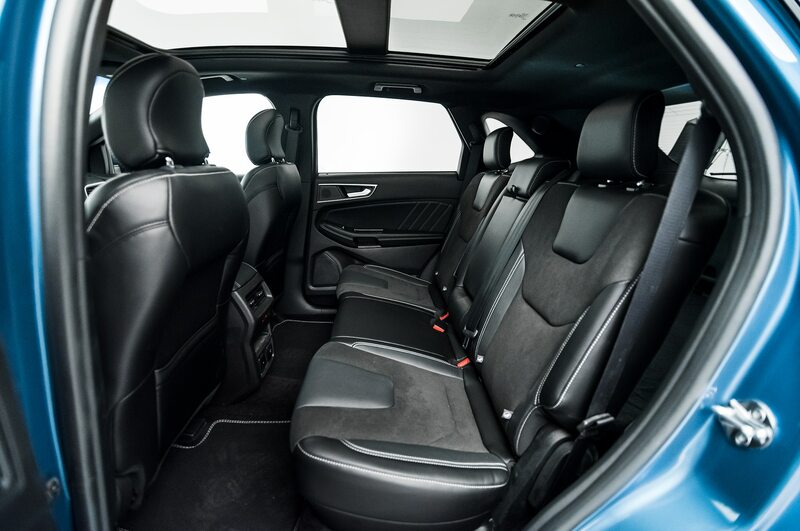 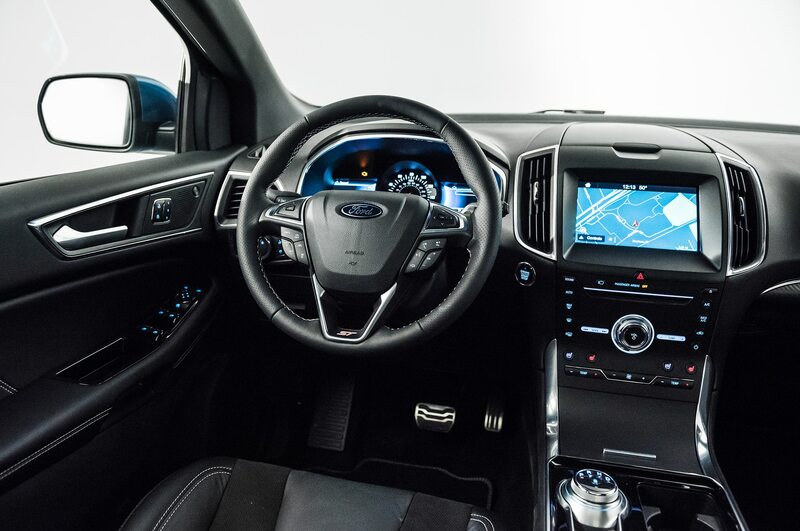 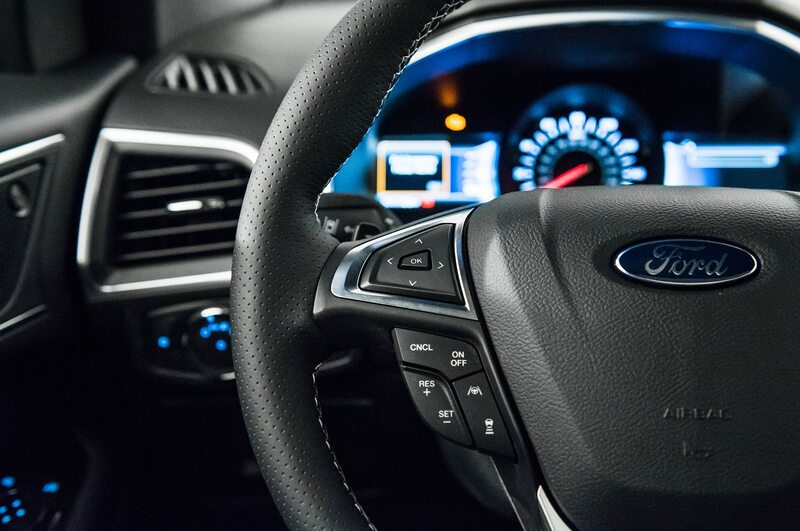 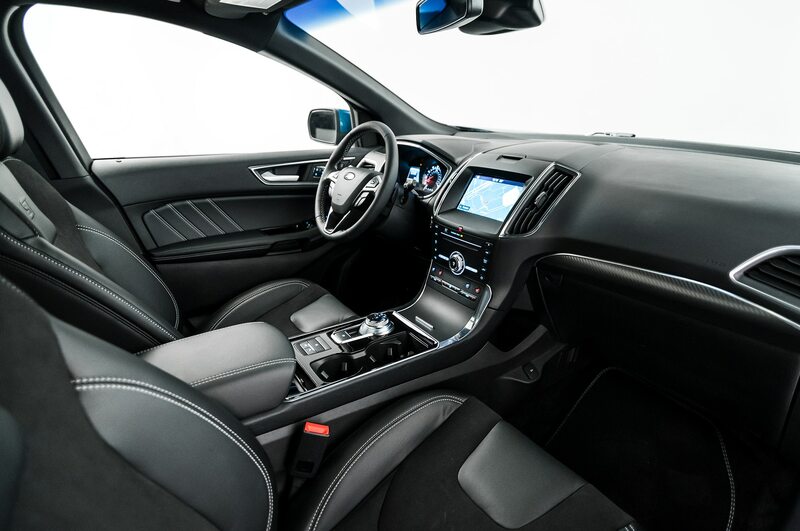 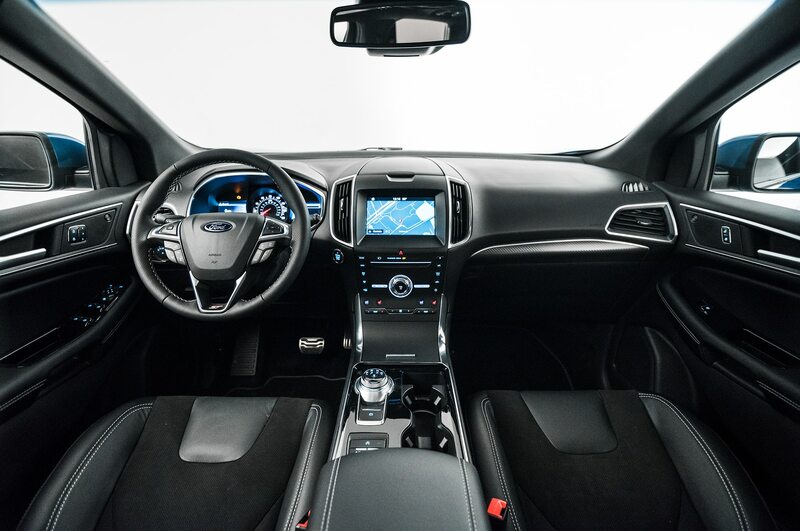 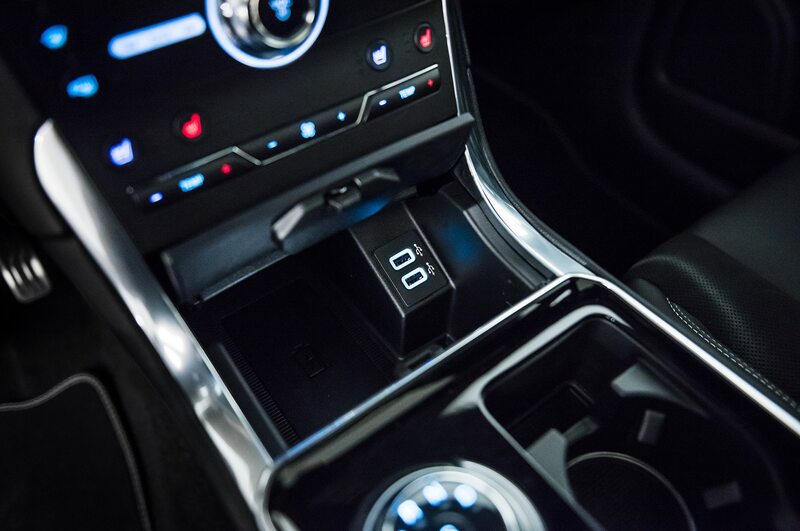 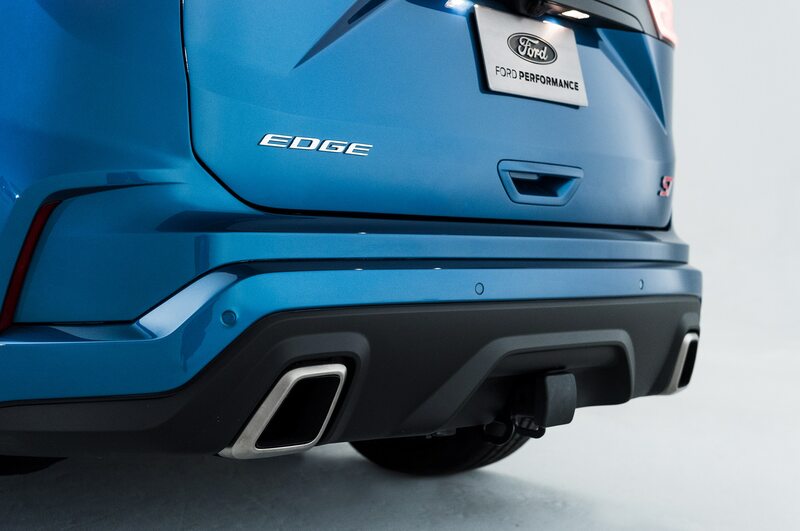 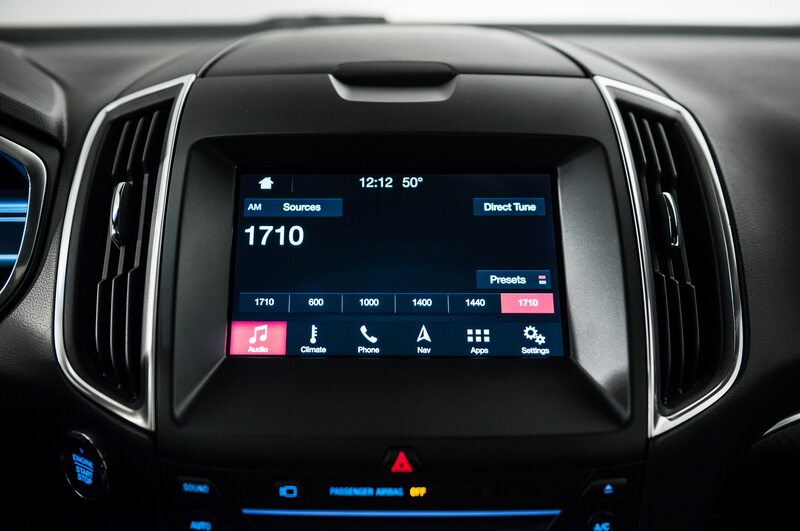 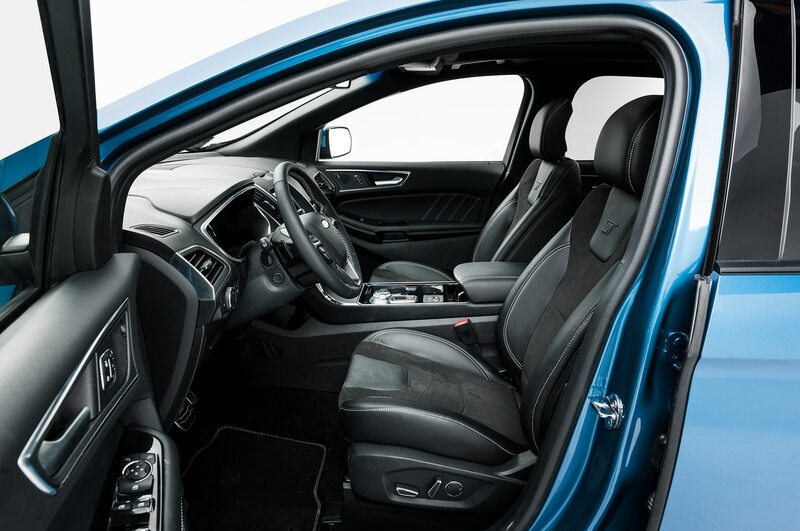 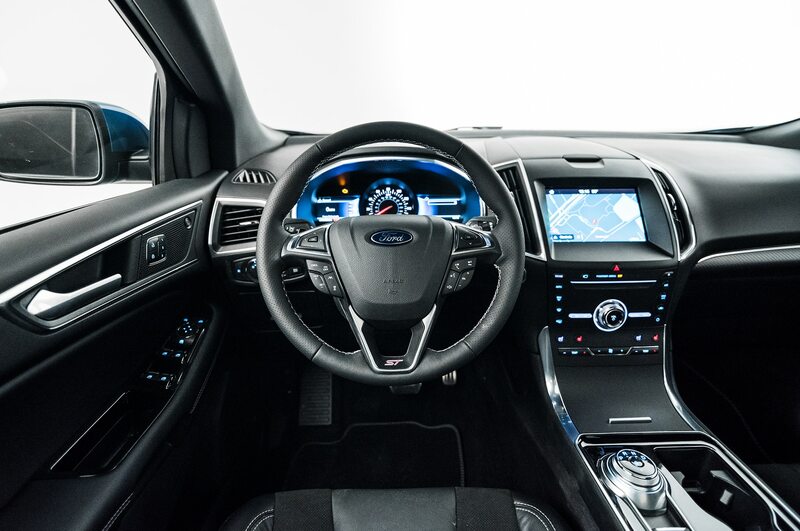 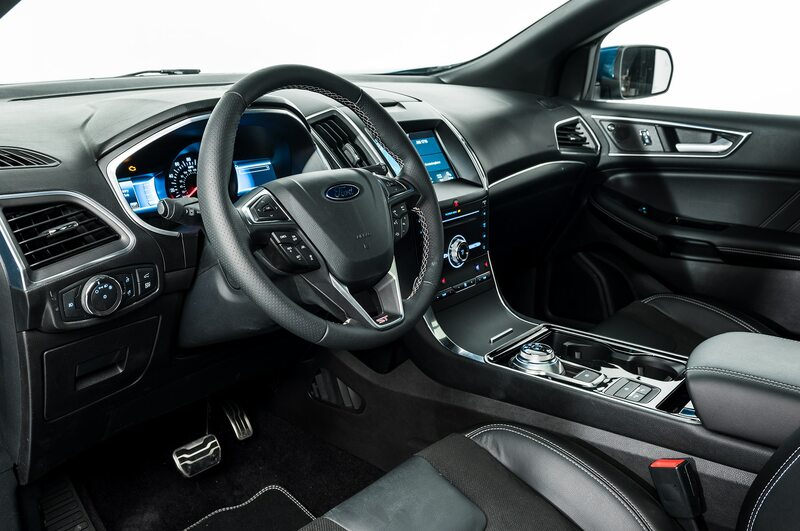 As part of the Ford Edge’s mid-cycle refresh, all models come with an eight-speed automatic, replacing the ’18 model’s six-speed, plus active transmission warm-up, standard auto stop/start, deceleration fuel shut-off, and exhaust gas recirculation. 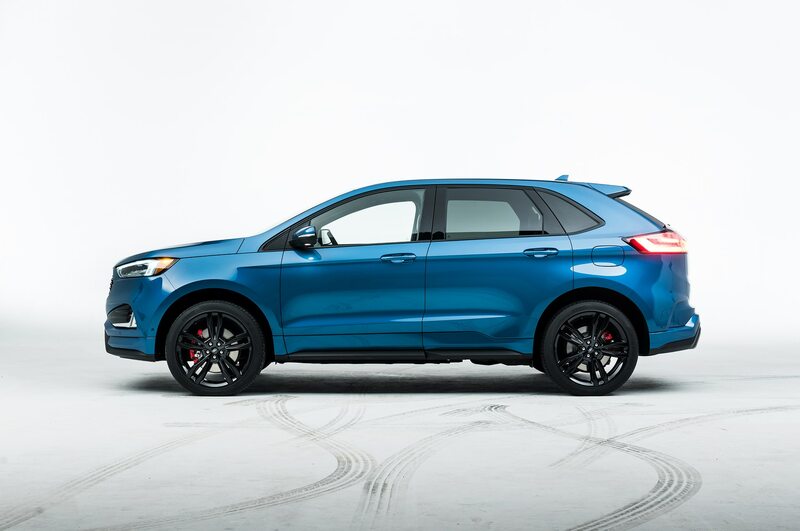 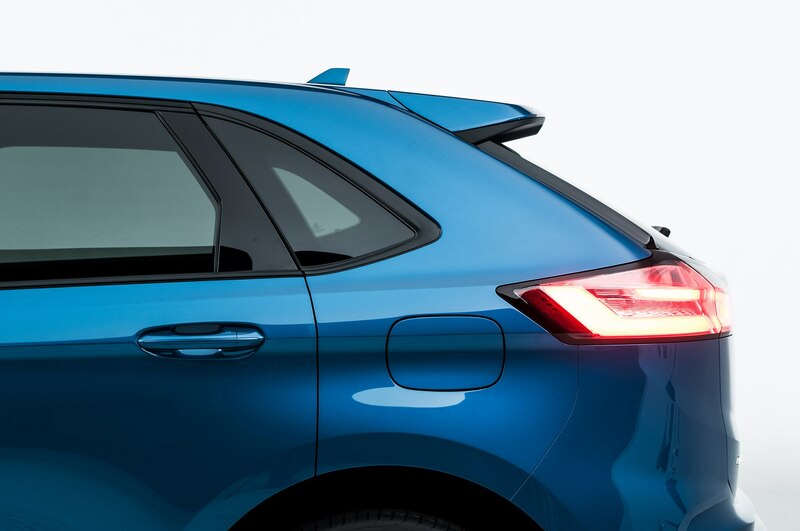 The 2019 Ford Edge’s mid-cycle refresh was announced way back in January, though the AWD disconnect system was not part of that briefing. 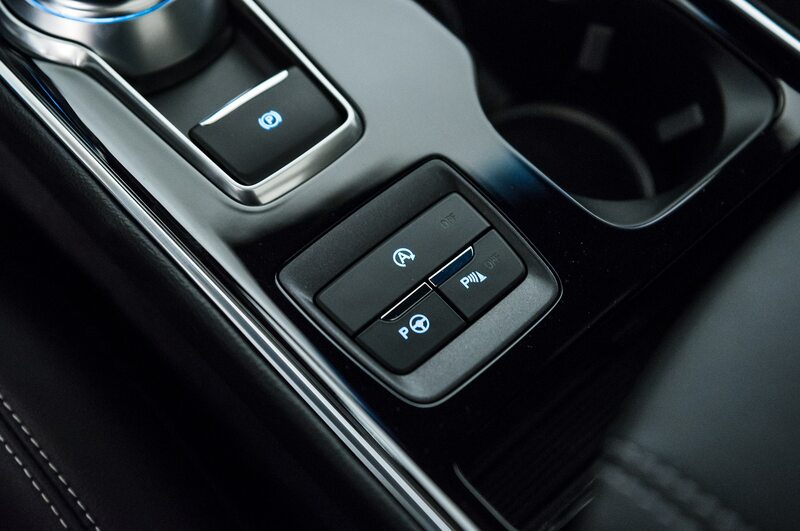 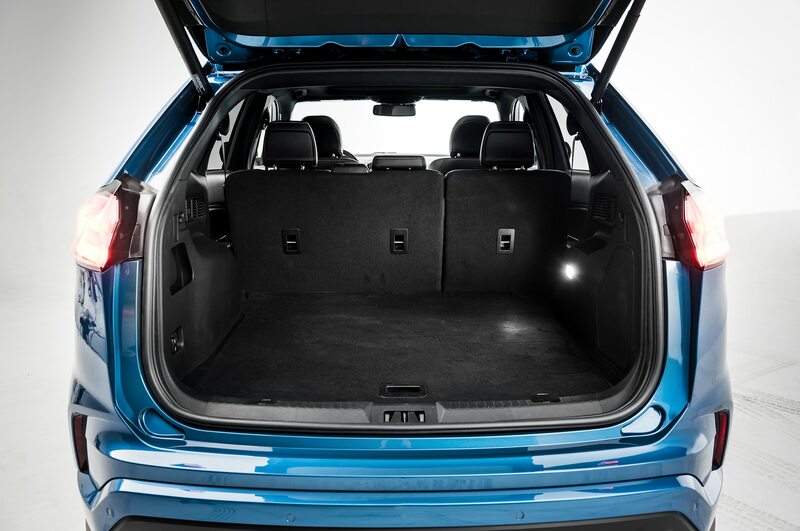 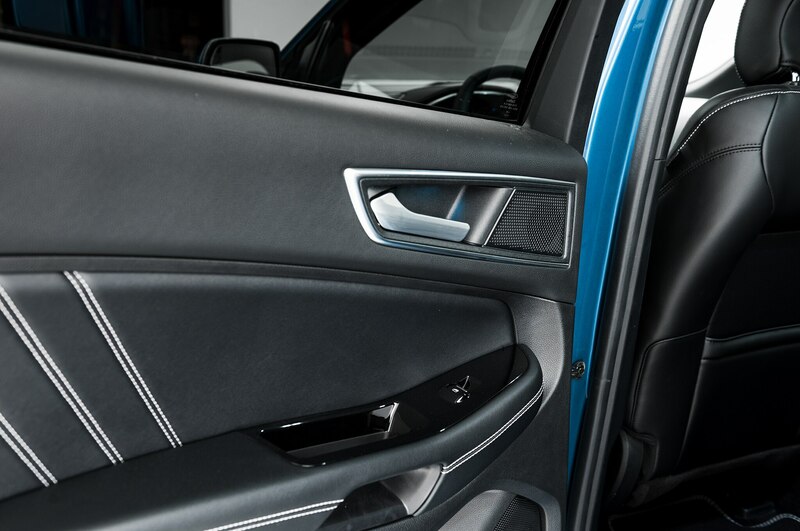 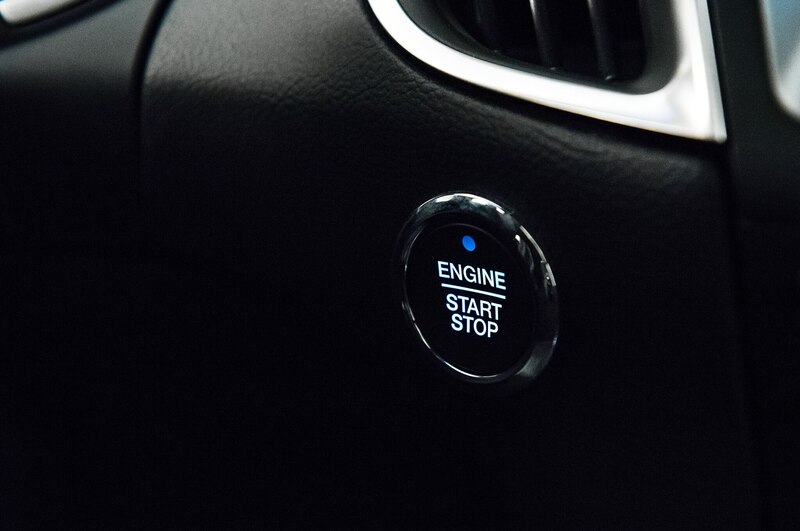 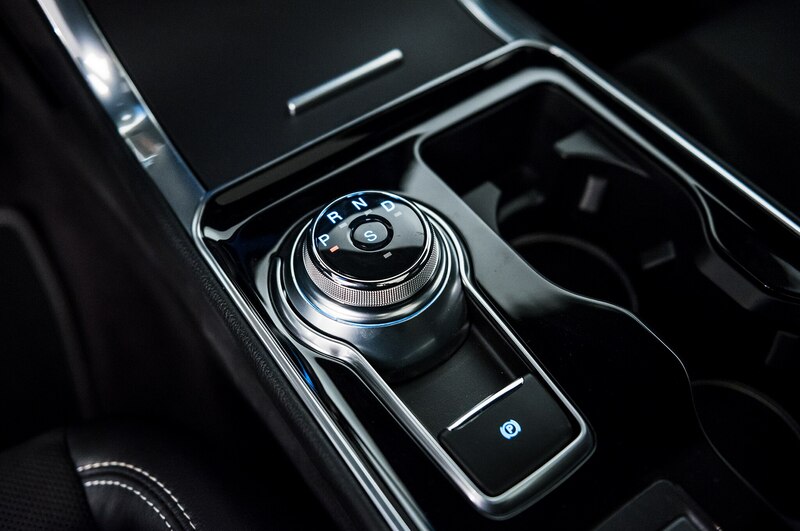 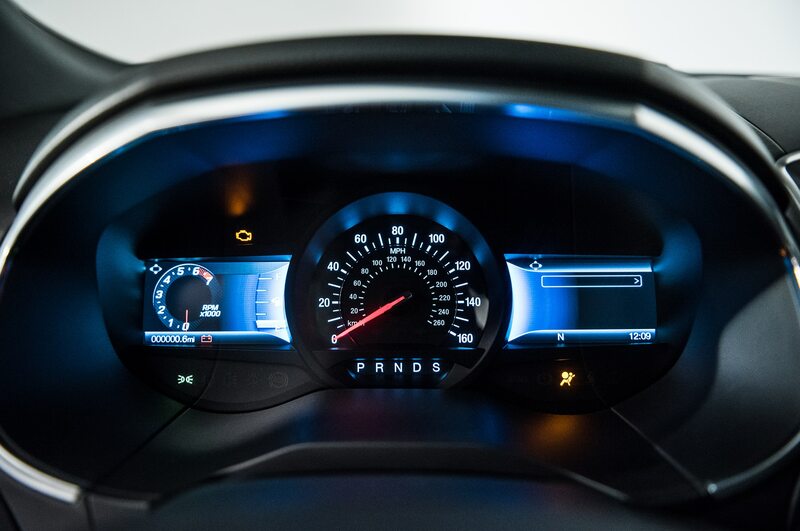 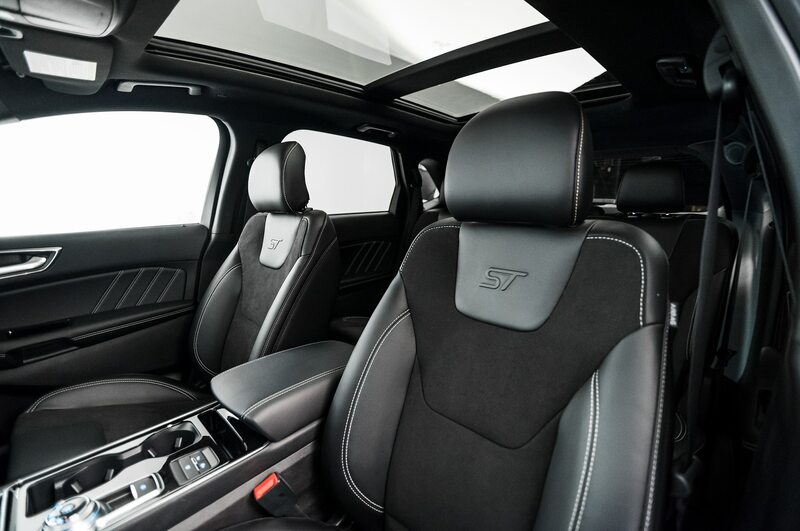 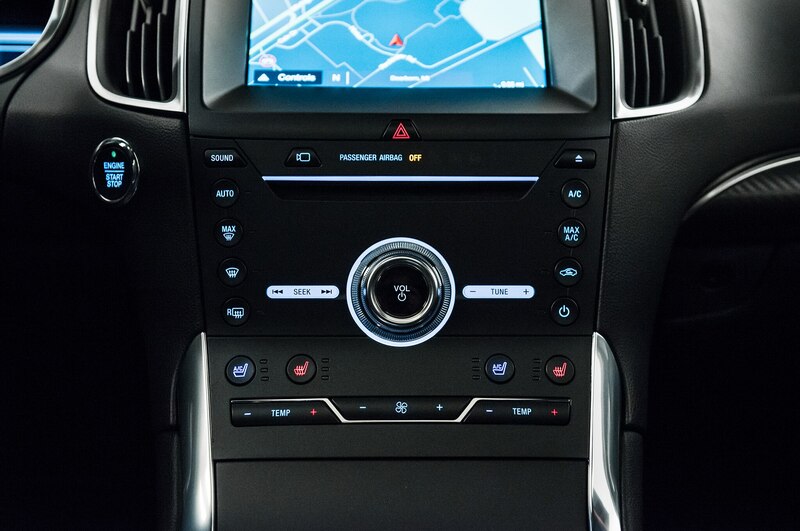 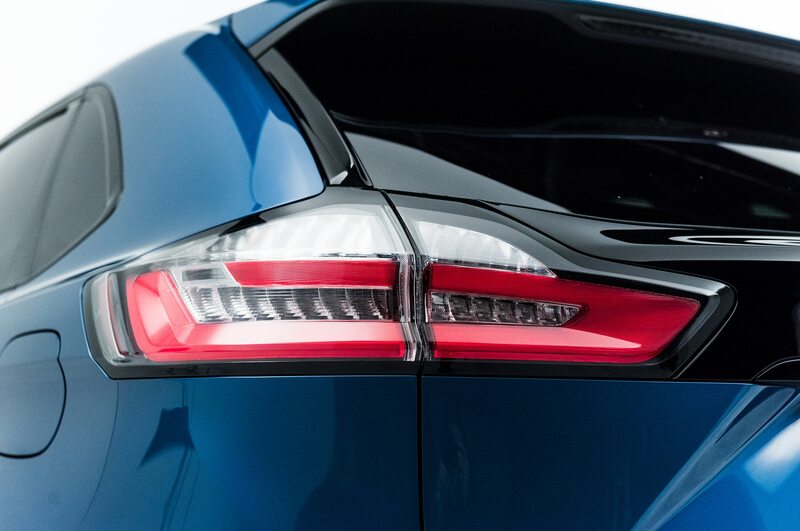 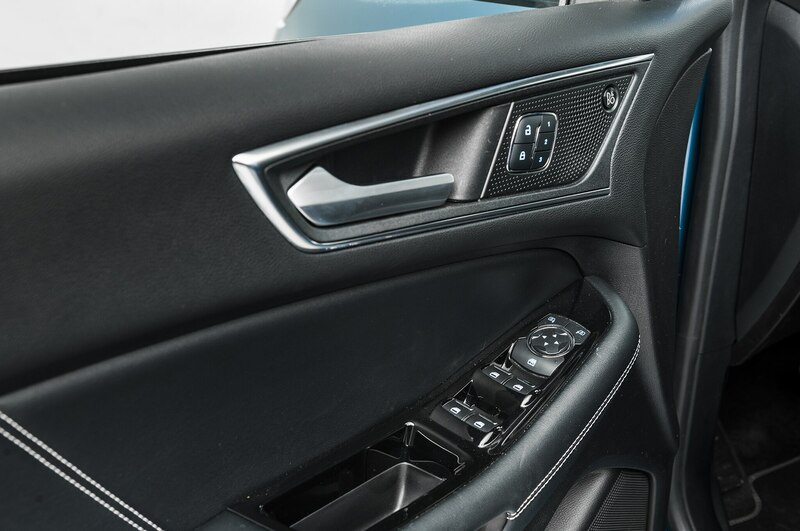 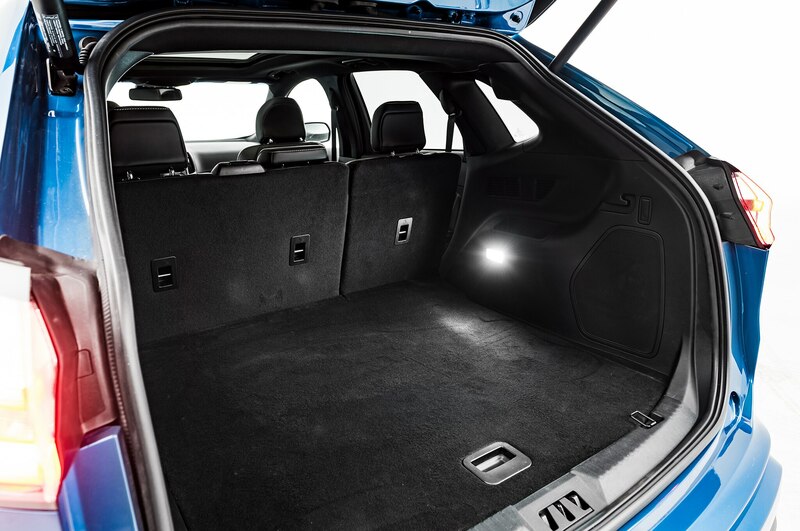 The AWD disconnect system comes with an all-new dedicated electronic “brain” that analyzes those myriad inputs from throughout the SUV. 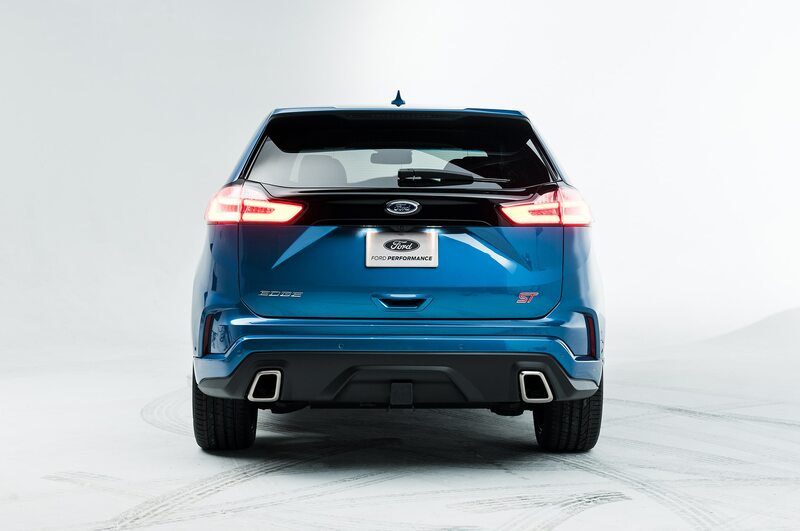 Using an algorithm with “fuzzy logic,” the disconnect system can “detect in 10 milliseconds the need to engage or disengage all-wheel-drive,” and can “distribute up to 100 percent of the available power from the front to the rear wheels” depending on road conditions, Ford says.